Cisco estimates that 50 billion devices and objects will be connected to the Internet by 2020. Yet today, more than 99 percent of things in the physical world remain unconnected. To capitalize on the unprecedented opportunities presented by this wave of digitization, companies and cities are increasingly deploying Internet of Things solutions. However, digitization is complex. Customers are often connecting devices and objects – or converging unrelated networks - at previously unprecedented scales. Furthermore, they can only realize the value of these connections through the application of advanced data analytics, and even then, customers often still need to create a new class of intelligent applications capable of accelerating new business models or increasing productivity. Of course, all of this has to happen without ever sacrificing security at any point in the system, from the device to the data center and via the cloud. The new Cisco® IoT System, announced today, addresses the complexity of digitization with an infrastructure that is designed to manage large scale systems of diverse endpoints and platforms, and the data deluge they create. The new Cisco IoT System comprises six critical technology elements or ‘pillars’ which – when combined together into an architecture – help reduce the complexities of digitization. Cisco also announced 15 new Internet of Things products within the six pillars. 1. Network Connectivity: This pillar includes purpose-built routing, switching, and wireless products available in ruggedized and non-ruggedized form factors. 2. Fog Computing: ‘Fog’ is a distributed computing infrastructure for the Internet of Things (IoT) which extends computing capability – and thereby data analytics applications - to the ‘edge’ of networks. It enables customers to analyze and manage data locally, and thereby to derive immediate insights from connections. Cisco predicts that 40% of IoT-created data will be processed in the fog by 2018. Over 25 of Cisco’s network products are enabled with Cisco’s fog computing or edge data processing platform, IOx. 3. Security: The security pillar of the IoT System unifies cyber and physical security to deliver operational benefits and increase the protection of both physical and digital assets. 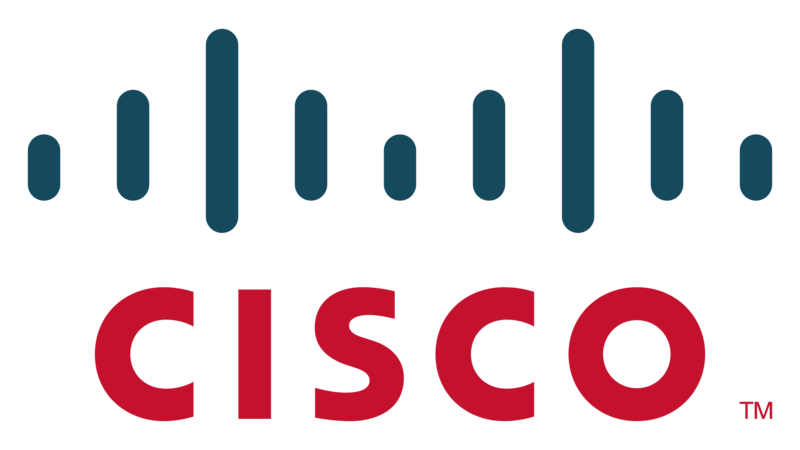 Cisco’s IP surveillance portfolio and network products with TrustSec security and cloud/cyber security products allow users to monitor, detect and respond to combined IT and Operational Technology (OT) attacks. 4. Data Analytics: The Cisco IoT System provides an optimized infrastructure to implement analytics and harness actionable data for both the Cisco Connected Analytics™ Portfolio and third party analytics software. 5. Management and Automation: The IoT System provides enhanced security, control and support for multiple siloed functions to deliver an easy-to-use system for managing an increasing volume of endpoints and applications, field operators need an easy-to-use management system. 6. Application Enablement Platform: Offers a set of APIs for industries and cities, ecosystem partners and third-party vendors to design, develop and deploy their own applications on the foundation of IoT System capabilities. IE5000: Purpose-built IE switch that brings connectivity to factory-level manufacturing and cities. IW3702: Wireless access point for connected mass transit systems and city Wi-Fi. IR 809, IR 829 series: Introducing 7 new industrial routers with Wi-Fi and 4G/LTE connectivity, ideal for transportation or IoT application deployments. 4G/LTE module for CGR 1000 for utilities, Mobile IP Gateway (MIG-2450) for connected rail solutions, and 5921 Embedded Services Routers for defense extend reach of industrial networking into remote environments. 360° 5MP & 720p IP cameras: These high-quality cameras cater to versatile environments and can host 3rd party software applications. Features include 360° view for situational awareness and audio and digital sensors. Physical Security Analytics: Camera applications include audio detection, sensor aggregation, audio message triggers, metadata generation, local video player and video summarization. Fog Data Services: Allow operators to create policies that monitor and take actions on data flowing through the IoT environment (data-in-motion). It resides on the IOx platform so users can integrate custom policies with applications. IoT Field Network Director: This management software allows operators to monitor and customize IoT network infrastructure for industrial scale. Fog Director: Allows central management of multiple applications running at the edge. This management platform gives administrators control of application settings and lifecycle, for easier access and visibility into large-scale IoT deployments. Cisco IoT System enables industry verticals such as manufacturing, oil & gas, utilities, transportation, public safety and smart cities to deploy and accelerate IoT solutions and realize business benefits with targeted solutions. Key industry leaders have already ported their software applications to run on the Cisco Fog Computing™ system, including GE (Predix), Itron (Riva), OSISoft (PI), smartFOA in Japan, Bit Stew, Davra, SK Solutions, Toshiba and more. Today, Cisco also announced the addition of Covacsis, which is taking advantage of Cisco IOx to provide predictive analytics to manufacturing industries. Cisco also provides comprehensive consulting and professional services for IoT. Our leading networking expertise combined with our technology partners’ expertise helps accelerate transformation and ensures IT and operational technology alignment.